You know the score, you know the scene - this is the craic. 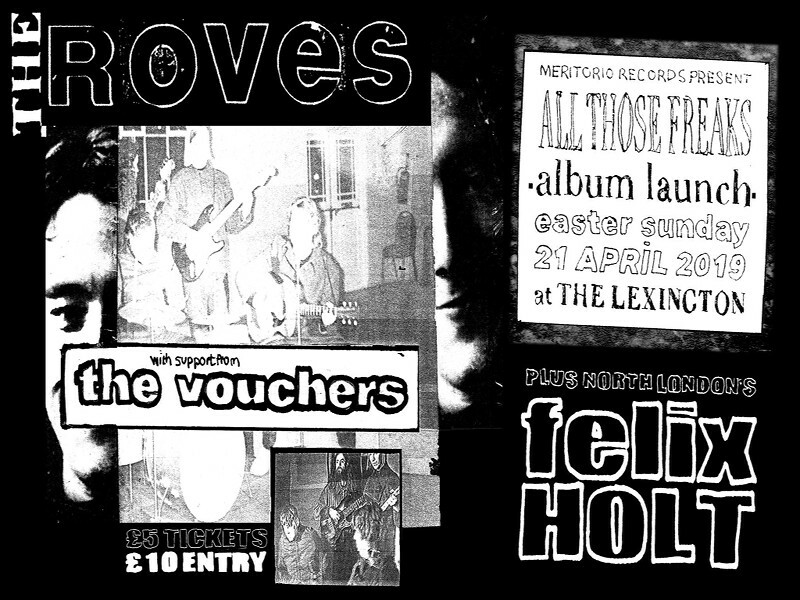 Meritorio Records bring entertainment to London with the launch party of The Roves second full length LP 'All Those Freaks' - The record will of course be available on the night to purchase and peruse. ENTRY £10 [OTD] Tickets to go on sale soon. Stage times will be announced closer to the time.